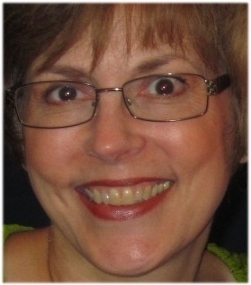 Diane is a Pacific Northwest Artist who has always enjoyed and studied the beauty and grace of goldfish and koi. She enjoys the transparency of watercolor and the way it flows and changes as it is applied to the paper. Watercolor painting is an exciting way to reflect the interaction of koi and water. Her other favorite subjects include flowers and landscapes. Diane has a Bachelor of Science Degree from Oregon State University where she studied science and education. She has many years of independent art study with Aletha Deuel, Billie Sheets and Eric Wiegardt, NWS. All paintings are done in watercolor on canvas. Prices listed below do not include tax, shipping and handling. All paintings are painted by Diane Geisler. All rights reserved. Drawing and painting has always come easily for me. Perhaps my aptitude was inherited from my mother who was very artistic and encouraged me to indulge my desires. I was given dancing, piano, and violin lessons before I began to paint. They were all fun but required practice every day. Somehow when I started to paint, it didn’t seem like practice. I was very fortunate in high school to have well -known California watercolorist, Louise McCaslin as my teacher. She inspired my interest in painting landscapes and nature. That interest has remained with me to this day. Fine Art was my major in college. Darwin Musselman (well-known California Trompe l’oeil artist) was my art professor at Fresno State College. Though both of these artists are now deceased, their teachings are with me always as I strive to produce ever more painterly work. My husband and I have traveled extensively throughout the US, Europe and the Far East. This has given me the opportunity to paint and study with many different teachers. The variety of cultures that we were able to experience has influenced and increased my desire to expand my artistic horizons. I paint for my own pleasure and if my paintings bring some enjoyment to others, I am very happy. As Gabrielle Roth once wrote…Art is not just ornamental, an enhancement of life, but a path in itself, a way out of the predictable and conventional, a map to self-discovery. Gail received her B.A. in Art Education from Whitworth University in Spokane, Washington. She taught in secondary schools for the Tacoma Public Schools for nine years. Gail was Curator of Education for the Tacoma Art Museum for over 10 years and was instructor and Art Specialist for the Metropolitan Park District for over 10 years as well. Gail is a working artist who prefers using acrylic paint, mixed media and collage techniques. She has exhibited and received awards in many juried shows in the Tacoma and Seattle area. Gail is a member of the Tacoma Arts and Crafts Association and Pacific Gallery Artists group. "I like the process of manipulating colors, shapes, values and textures using collage techniques. However, my greatest pleasure is creating textures. My inspiration comes from both natural and manmade sources. I find it an exciting challenge to search for new ways to create textural surfaces, not only with paint, but with found objects; such as sand, pieces of metal, mesh, threads, porcupine quills, foil, lace nails etc." To see complexity and beauty in the common place . To touch, explore and shape materials. To experience the challenge and awe of expression. To connect - that is my artistic quest. Jan's visual interests are diverse and she continues to explore personal expression and potential through the use of a variety of materials in both two and three dimensional work. The blending of materials is evident in her series of wearable artwork entitled "Peace in a Pod" using vintage buttons to express beings in relationship. These are set in a variety of carved woods and finished to enhance the aesthetic of all the materials. While themes vary, they often reflect aspects of the feminine. Pieces typically measure 11/2" x 31/2" in frames ranging from 5" x 7" - 8" x 10". Jan received her Bachelor of Arts, Visual Arts Focus in 1997; Sculpture in Time and Place, 1996-97; Foundation of Visual Arts, 1995-96 from The Evergreen State College in Olympia, Washington. Prior to that she received her Associates in General Studies, Visual Arts Focus in 1995 from Tacoma Community College in Tacoma, Washington. Tanya Lemma has been an elementary and middle school teacher/counselor for 24 years. She and her husband have taught in International Schools in Germany, Belgium, and Thailand. She has a B.A. Degree from Cal Poly in California, and a M.Ed. from Washington State University. Tanya’s love of art began at a very young age with encouragement from her parents. 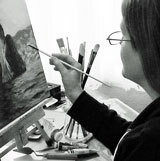 Having experimented in a variety of media, she has studied watercolor painting intensively for the last eight years and taken classes from internationally recognized artist and teacher Ron Ranson and Judy Morris, as well as regional artists Sharon Freeman, Ann Breckon, Loretta Warner, Judey Hartzell, and Rebecca Gehring. She is a member of the Pacific Gallery Artists and the Rainier League of Arts. Peggy has been painting many years and exhibits widely in the area. She works in watercolors, oils and acrylics and has studied under prominent local artists. Although she does seascapes and landscapes, she also enjoys doing still life's and floral. Her work has won many awards in juried shows. She is a member of Pacific Gallery Artists, University Place Artists and Rainier League of Arts. If you are interested in Peggy's work, please contact her at 253-564-9596. Prices listed below do not include tax, shipping and handling. All paintings are painted by Peggy Peterson. All rights reserved. Karen, a classically trained pianist with a bachelors degree in piano performance, has her husband to thank for her expansion into painting. As a gift he gave her a class with William Hewson of Seattle. She was hooked on watercolor from the very first session. Hand painted silk scarves are another on of her passions thanks to the inspiration of Beverly Pederson. Nola has studied with many well-known artists (locally, nationally & internationally known) with numerous art classes & workshops in Washington, Colorado, Oregon and Florida. She has entered over 170 shows since 1998, both nationally and internationally, with most being juried shows. An award-winning artist, and she is also a published photographer. She works in several mediums, Sumi, Acrylic, Mixed Media, Recycled Mixed media, Printmaking, Collage, and Zen Art©. Nola is the creator of her Zen Artã, where she paints and/or collages backwards on plexiglas or glass. She stains her own papers, along with collecting found and handmade papers, and acrylic paint, for this process. Sometimes natural elements, such as pressed flowers, leaves, etc. can be incorporated into a design. Zen Artã can be made in almost any size, and can be applied for residential and commercial art applications. Werner Dillenburger did not fully realize his talent for painting and other art forms until he retired from a lifelong career in the Fashion and Textile Industry. Working in Europe in the 1950’s involved fashion design and illustration. For many years, the occasional oil or acrylic work was all that time allowed. Watercolor had intimidated but always intrigued him. When he retired an found himself with time to spare, he got started. Hooked would be a more accurate term! Today his watercolor and multimedia works depict scenes from around our State and images of faraway places or whatever else catches his eye. One of his multimedia works is part of the Pierce County Art Bank and his works have been displayed in various venues around the area. Dillenburger is a member and President of the “Pacific Gallery Artists” and a member of the “City of Lakewood Arts Commission”. Northwest native, Pat Graham, is a multi award winning artist whose interest in the visual arts was evident from an early age. Beginning semi private lessons at the age of 9, she started to explore the many ways of artistically expressing herself. During her teen years she maximized opportunities to participate in every art class available and collaborate with other artists in creating murals for the city and stage backdrops for schools. During this time Pat entered many district and state wide art contests which earned her recognition and many awards. She began portrait painting while in High School and had her first portrait sales before graduating. 2 years of commercial art training followed her senior year of schooling and she immersed herself in that field for many years following, though never abandoned her love of fine art. These days private local ( and international ) collectors enjoy Pat's works and she continues to show and enter visual art competitions. She enjoys creating with the goal of painting to the best of her ability the subtle beauty she sees in the world – that gentle gaze of someone’s eyes, the transparency of a flower petal or that moment of quietude that can go so easily unnoticed. Oil, pastel, acrylic, watercolor and charcoal are her primary medium choices for creating these works. Anne enjoys bringing each of her landscapes alive with vibrant color. 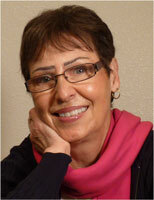 A few of the subjects she paints include: Pacific Northwest and Italian landscapes as well as still life, and florals. She works in oils, watercolors, acrylics and mixed media. Anne’s interest in drawing and painting began while in high school. She went on to study fine art at the University of Puget Sound and the University of Washington. After completing college, with a BS in Math and Minor in Art, she worked as a graphic artist in the publishing industry for many years. Anne received awards from the Washington Publishers association and the Southeastern Advertising association for her work in advertising art. She believes that art is a lifelong process of painting, learning, observing and experiencing life.